When it comes time to buy a car, new or used, the dealership you buy from can determine what kind of experience you will have. The question people are often faced with when they’ve decided the kind of car they want is: Do I buy from a franchise store or an independent dealership? There are several differences between the two, pros and cons for each, and some could argue that they would never deviate from buying at a franchise store, no questions asked. Now, we may be a little biased, but when it comes to buying a used vehicle, especially in the exotic world, an independent dealer is the way to go. Franchise dealerships tend to have an advantage because potential customers have heard of their franchise name, and either associate it with personal previous experience, or the experience of others. Or, they assume because they have ads on the radio or on TV, it must be better. 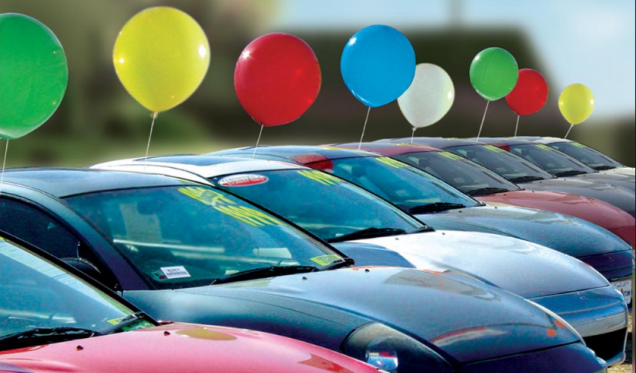 They assume that if a used car is from a name-brand retailer that’s affiliated with a manufacturer, that the quality of the cars is better, that they are in better condition. I often apply this sort of thinking when grocery shopping–I’d rather have the name-brand cereal than the store’s version of it. Why? I’m just more comfortable with it. Have I ever tried the other kind? No. Any desire to even explore that as a less expensive option that is essentially the exact same thing? No. When thinking about it this way, I can wrap my head around why people lean toward what they’re comfortable with. It makes total sense. Why would I buy my first pre-owned Ferrari 360 from a dealership I’ve never heard of instead of going directly to a franchised Ferrari store? What’s great about an independent dealership, especially in the exotic market, is we know each and every car backwards and forwards–we know its history, where it’s lived, oftentimes we know the previous owner personally, or at the very least, know how the car was maintained and where. We say it all the time: every car has a story to tell, and our job is to tell its story and find the person who wants to be a part of the car’s journey. As an owner of an independent dealership, I am passionate about the product we sell and the customers we sell to. Whether it’s a novice Ferrari-lover who wants a 2015 Ferrari F12 Berlinetta, or a veteran exotic-enthusiast coming to buy the iconic 1987 Ferrari Testarossa, it is vital that we provide a sales experience unlike any other, one that is the antithesis of what people believe the car business is all about. It is our job to answer all of the customer’s questions, tell them everything they need or want to know about the vehicle they are considering, making them completely comfortable and happy. At Merlin Auto Group, we are able to offer that kind of experience.